Cataract formation is a natural process which occurs slowly over time. The lens behind the pupil gradually becomes cloudy which affects how light is focused onto the retina, causing glare and blurry vision. Cataract surgery is a technologically advanced procedure in which the lens is removed through a small, no stitch incision, and is replaced with a crystal clear acrylic lens that allows light to be clearly and precisely focused on the retina. The eye’s natural crystalline lens helps us focus on people and things at varying distances. Unfortunately, as we grow older this lens hardens, and without its youthful suppleness, loses its ability to focus, creating vision problems. This condition, a natural consequence of aging, is called presbyopia. Some people begin experiencing the early effects of presbyopia (such as gradual loss of near vision) in their mid-40s. As we age, these changes occurring to the natural crystalline lens will lead to the development of cataracts. By age 65, a large percentage of us will develop a cataract, most often typified by cloudy/fuzzy vision. With a cataract, you may have difficulty seeing in extremely bright light or low-light conditions. Developing a cataract doesn’t mean a permanent loss of vision quality, or having to give up the things you love, because cataract surgery is a safe, effective way to improve your vision. Cataract surgery is the most commonly performed surgery in the United States, with well over 2 million Americans having the procedure every year. Performed almost exclusively on an outpatient basis, cataract surgery is microsurgery, whereby the natural lens is removed and replaced with what is called an intraocular lens (IOL). The procedure is highly successful and most people regain very good distance vision, somewhere between 20/20 and 20/40. Advancements in lens technology and refractive surgery allow Dr. Bergstrom to achieve unprecedented results with cataract surgery. Now it is possible to achieve clear vision for both distance and reading without glasses. Premium multifocal and accommodative lenses offer the potential for reduced dependence and frequently complete independence from glasses. Intraocular lenses, commonly called IOLs, may be one of the most important ophthalmic developments in the past 30 years. These tiny prescription lenses are placed inside the eye during cataract or Clear Lens Extraction And Replacement surgery (CLEAR), replacing the eye’s natural lens (called a cataract when it becomes clouded). Prior to the development of IOLs, cataract patients were forced to wear thick “coke bottle” glasses or contact lenses after the surgery. They were essentially blind without their glasses. IOLs are small, and because they are placed safely within the eye, the lenses are invisible and provide a new sense of freedom and comfort. Today, patients receiving IOLs often enjoy the best vision of their lives. Thanks to sophisticated formulas used to calculate the corrective prescription power of the lens. We look at Cataract surgery as a chance to give our patients excellent vision, and in many cases, without glasses. Experience performing eye surgeries since 1992. A proven track record of over 20,000 eye surgeries and procedures. Our friendly staff has over 200 years of eye care experience. We take most medical insurances including flex spending accounts. There are three main types of IOLs, the standard monofocal lens and the “Lifestyle” lenses which include multifocal and accommodating, and toric astigmatism correcting lenses. Monofocal lenses are the standard lens and the most commonly used in cataract surgery today. These lenses are made to allow the patient to see at distance, perhaps even without glasses. The patient will still need to use reading glasses for any near activities and they do not correct astigmatism. Lifestyle lenses offer the patient enhanced vision by providing both distance and near vision or by correcting astigmatism. These lenses give the patient the best vision possible with much less dependence on glasses. Multifocal lenses are a type of lifestyle lens. These lenses have two or more focal points or spots where vision is clear. The areas of clear vision are usually at distance and can be chosen for various near points. Accommodating lenses are another Lifestyle lens. These lenses give patients the chance to experience vision more naturally. The lens has the ability to focus or shift slightly in the eye, creating a more natural range of vision. 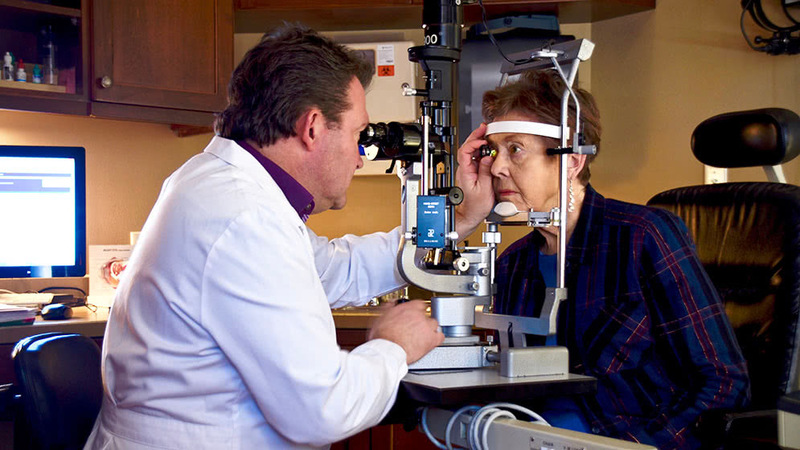 Patients can expect good distance, intermediate and near vision. The amount of near vision varies from patient to patient. The last type of Lifestyle lens is a Toric lens. This type of lens is a special monofocal lens that also corrects for astigmatism. It has to be placed at the proper orientation in the eye. If you are not a candidate for Intraocular Lenses, Visian ICL might be an option. Bergstrom Eye & Laser Clinic participates in most insurance plans that cover medically necessary eye care services, including cornea, cataract, glaucoma, retina care, various lid procedures and comprehensive medical eye exams. This means that if you need care that is covered by your insurance for example, cataract surgery or glaucoma treatment – we will charge you the deductible, copayment and coinsurance that is dictated by your insurance plan. This charge is typically the same for all eye care specialists who participate in your insurance plan’s network of providers. 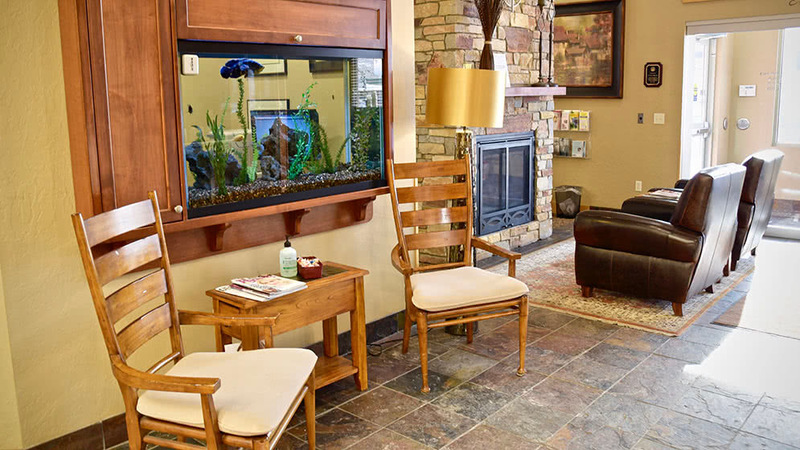 At Bergstrom Eye & Laser Clinic, we focus on making our services as affordable and convenient as possible. We realize that not all insurance programs cover every procedure we perform, so that’s why we offer our patients financing through CareCredit or Alphaeon Credit. You decide the financing option that’s right for you while getting the eye care that’s best for you. Also consider using your Flex Plan benefits to pay for services. Flex Plans (FP) or Flexible Spending Accounts (FSA) are set-up through many employers and offer another alternative for health related costs. FP or FSA dollars are withdrawn from your paycheck before taxes, allowing them to be used for health expenses tax free. There are government rules and regulations to the use of these benefits, so check with your employer's plan administrator to find out more details.